Si-He Village dates back to the Song Dynasty and is known as the home of the celebrated poet Zhou Dunyi (1017-1073), famous for his ode to the Lotus flower. This village is an ideal site to promote waterway revitalization by making space for the retention and temporal storage of water. The restoration of the canal system also offers opportunities for a better water quality. In addition to revitalizing the blue-green corridors, this village has significant potential for tourism development. 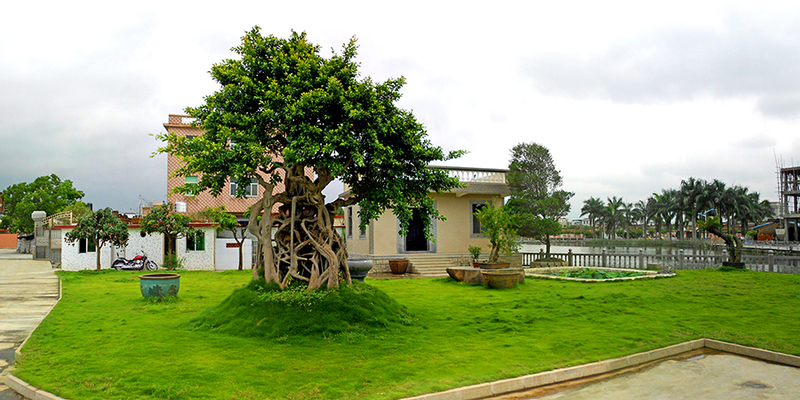 The oldest part of Si-He Village has a close relation to the meandering river. Until a few decades ago, the village was completely surrounded by water. The rivers and waterways and the paths on the banks of those rivers and waterways were the dominant infrastructure for transport. Subsequent extensions of the village started in rectangular patches with small neighbourhoods parallel to the river. Two roads on 150-200 meter distance from either side of the river were built to improve accessibility. Further and more urban and denser extensions of Si-He Village were built on agricultural lands along and connected to the two new roads. During the past years more and more houses were built in and around Si-He Village. The few open spaces that were left gradually were filled with new houses and moreover, with extensions of existing houses. In this process of spontaneous and unplanned urbanisation open surface was turned into stone, tarmac and concrete surfaces. More significantly, the delicate water system with ditches, creeks, canals and reservoirs, typical for the area, disappeared as they made place for housing, roads and parking space. This process of intensification and densification also indirectly resulted in increasing seasonal flooding of villages nearby. In the wet season of 2013 the Shan Nan region was twice severely struck by heavy rainfall and subsequent flooding. The images of submerged villages, similar to Si-He and Hua-Yao, and helicopters dropping food and drinking water for the inhabitants standing on rooftops were published in news bulletins, newspapers and websites all over the world. 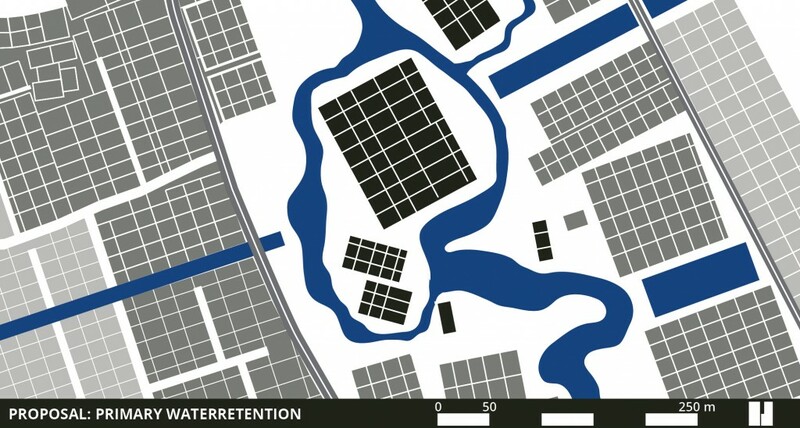 In order to prevent or to mitigate future flooding of villages like Si-He and Hua-Yao, it is highly recommendable, if not imperative, to make space for primary and secondary water retention and storage. Primary water retention takes care of the every day water storage. For this purpose water reservoirs need to be dredged on a regular basis and even reconnected and extended. 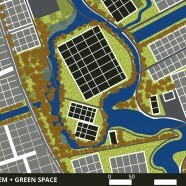 Places for secondary water retention are lower lying and green areas where in the wet season the surplus of rainwater can be stored temporarily. 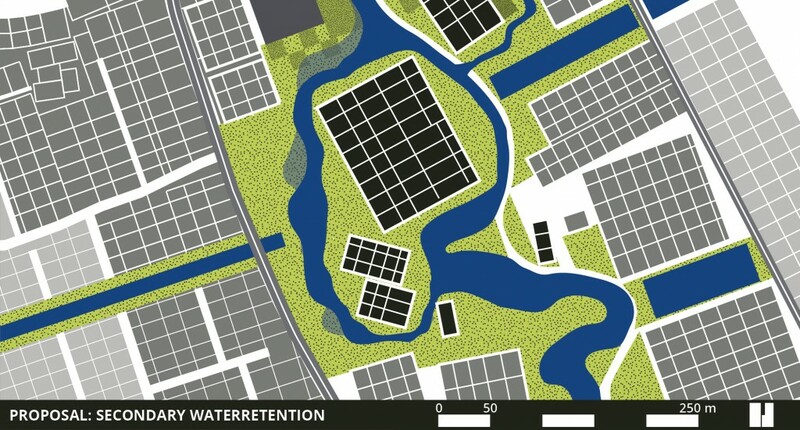 In the case of Si-He Village, water retention can be combined with an upgrade of the village and the restoration and recovery of the riverbed, waterways and reservoirs. The older parts of Si-He Village and the first extensions and the in-filled open spaces are most derelict, underused and now standing on land reclaimed from former water surface. Upgrading Si-He Village also means cleaning up the built environment and making space for water storage. Apart from extending the capacity of water storage, the water also needs to become cleaner and green areas need to become more attractive and more natural to enhance recreation and wildlife. 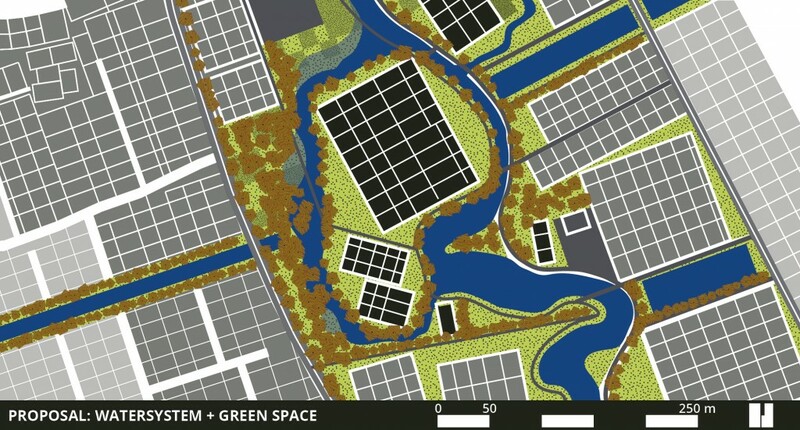 There are many motives to choose for an integrated approach that enhances the water retention and, at the same time, improves the quality and the cultural identity of the village and the public and green spaces. If it is done in an attractive way that has a focus on heritage, eco-friendly environment, education and local cuisine, Si-He may attract visitors and day-trippers from nearby cities and tourists that may become a source of income for the inhabitants of Si-He Village. 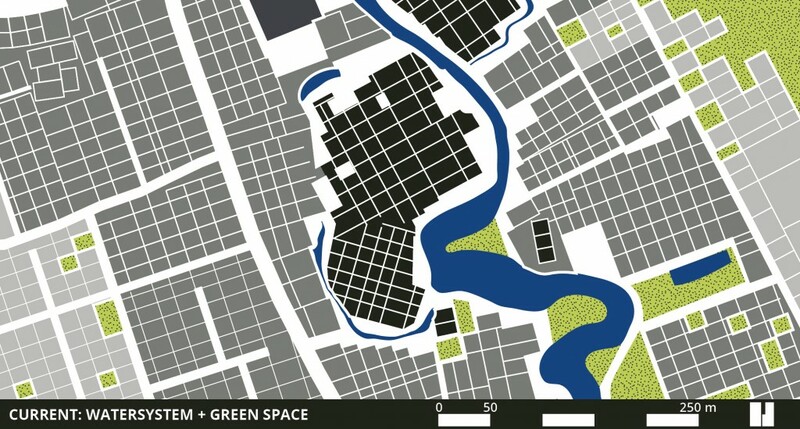 A positive side effect of the upgrading of Si-He Village is that by clearing out some of the derelict first extensions and in-filled open spaces the continuous open and green area along the renovated rivers and waterways is defining a new and highly attractive urban quality in the area. This is based on the combination of the preservation of historic settlements, landscape development and the recreation of sense of place in these areas. More importantly, over the years houses and real estate in and along this area will increase in value, thus creating a situation that is worthwhile protecting and maintaining and for future investments.